Louis J. Williams - Mediator & Arbitrator based in Lakeland, Florida. Central Florida Mediation Group, LLC. Please click your preferred available date to submit a request. Your Appointment Form will be sent to Louis' assistant, Scheduling. In 1969, Mr. Williams joined the Tampa-based firm of Fowler, White, Gillen, Boggs, Villareal and Banker. In June of 1975, he opened the Polk County office of Fowler White in Lakeland. 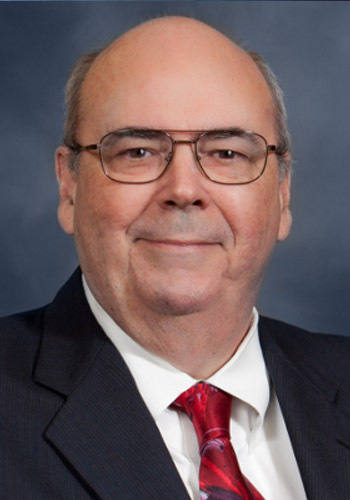 From 1975 through 1987, Mr. Williams was the managing partner of the Lakeland office, engaged primarily in trial law, with emphasis on personal injury, product liability and professional malpractice cases. In 1990, Mr. Williams established Louis J. Williams, Attorney at Law, and focused the firm's law practice on personal injury, malpractice, commercial and corporate litigation. Mr. Williams was certified as a Circuit Civil Mediator in 1991 and since then has conducted over 4200 mediations. He is a certified court ordered Arbitrator. He has also served a Special Master in complex civil discovery cases and family law cases. Mr. Williams has more than 30 years of experience as a civil trial attorney. He is board certified as a civil trial lawyer by the Florida Bar. Today, the firm emphasis is on all forms of civil litigation, mediation, arbitration and special master services. He is also available to serve as a voluntary Trial Resolution Judge pursuant to Florida Statute 44.104. Louis J. Williams earned a Juris Doctor degree from Columbia University in 1969 and a Bachelor of Science in Business Administration from the University of Florida in 1966. Approved Auto Insurance Mediator - Sec. 627.745 Fla. Stat. Certified in Residential Mortgage Foreclosure Mediation pursuant to Administrative Order No. AOSC09-54.